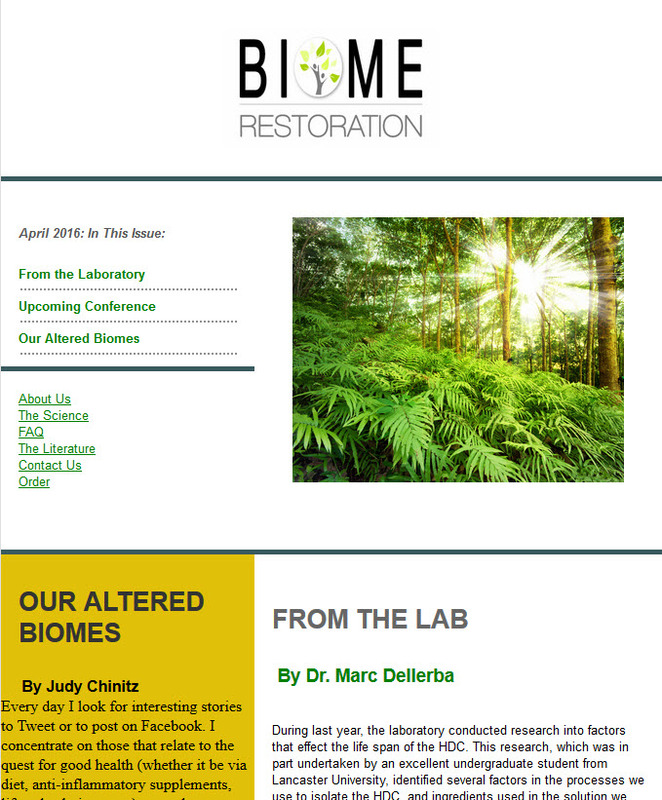 Don’t miss our latest newsletter! Buy single doses or sign up for a subscription . Q: Should I take the HDC with food or on an empty stomach? A: It’s best to put the HDC into something that contains a little fat, like some kind of milk substance. For our USA customers: these statements have not been evaluated by the FDA. This product is not intended to treat, cure or prevent any disease. Biome Restoration (VAT #1832913 02) is the trademarked trading name of Biome Restoration Ltd. Registered in England and Wales with company number 8694330. Logo copyrighted #284686164. All rights reserved. Copyright. 2018. Web design & development by Nvisage.